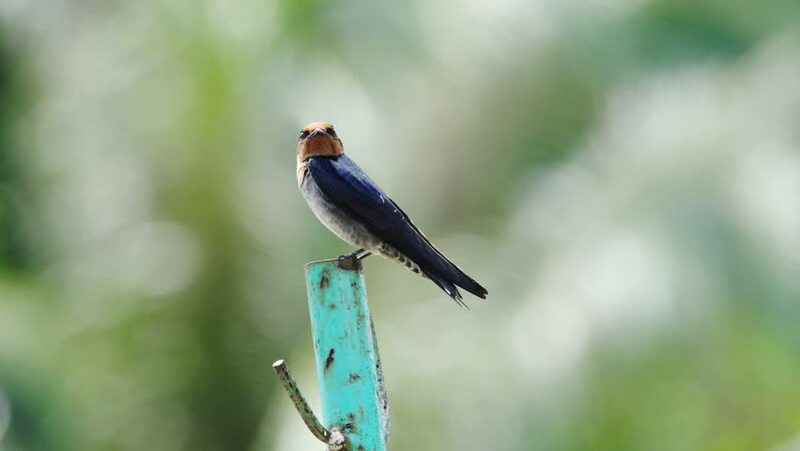 Pacific swallow perching on iron pole and looking at camera beside big lake and flying out ,4K video . Beautiful bird in the wild with natural bokeh blurred background. 4k00:07The paradise fly catcher bird.